Celebrate with Eye Lounge First Anniversary Sale at SM North Edsa branch. 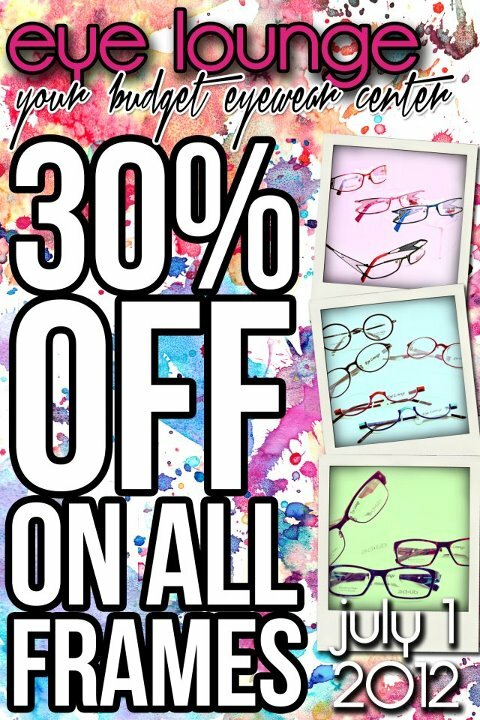 Save up to 30% discount on all frames. For more information, please visit Eye Lounge SM North Edsa Fanpage. Get Promo and Sale updates delivered automatically.